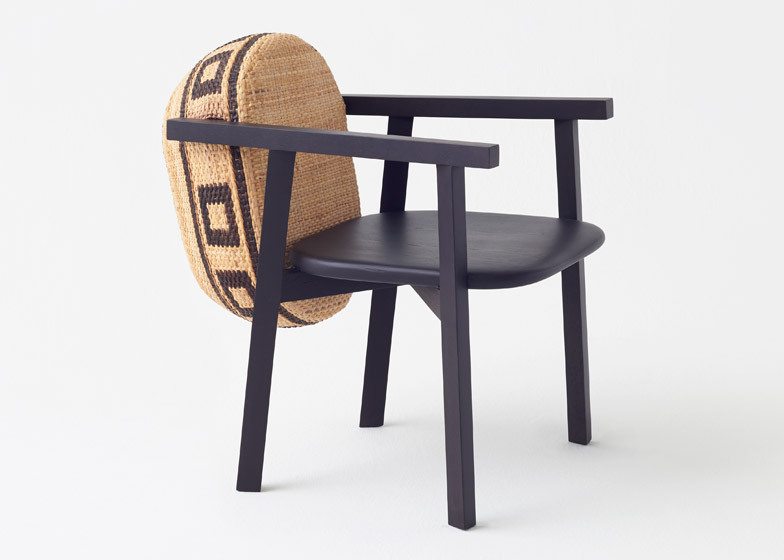 Japanese studio Nendo has turned woven bamboo baskets into backrests for chairs and storage compartments for tables in this furniture range (+ slideshow). 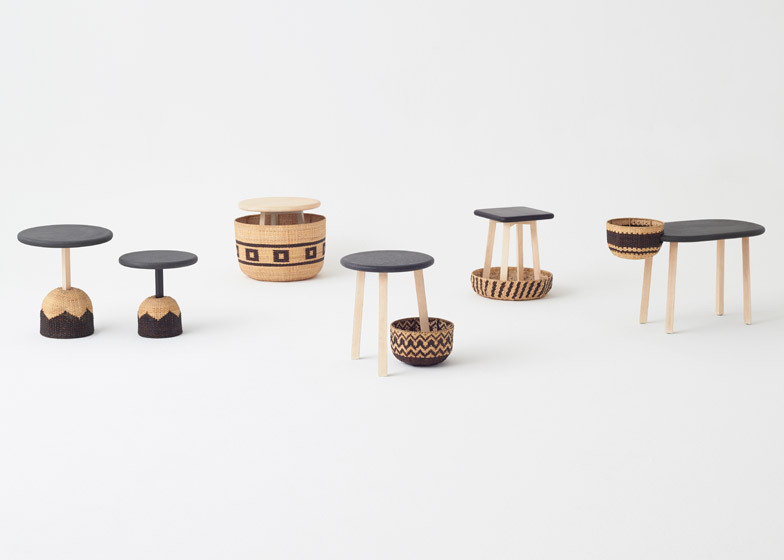 Nendo's Tokyo Tribal Collection features 22 products, including stools, chairs, tables and shelves, that each incorporate a bamboo element. 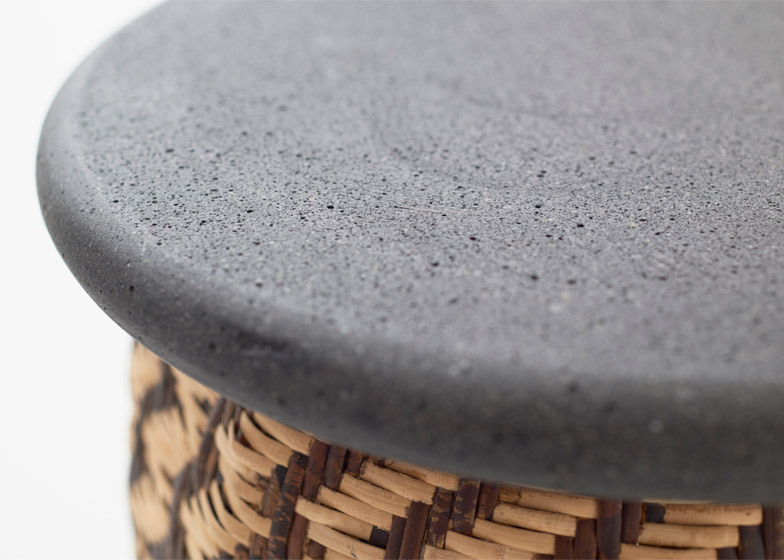 Designed for Singapore design company Industry+, the pieces are made from solid oak and have some surfaces coated with plaster mixed using dark grey volcanic sand. 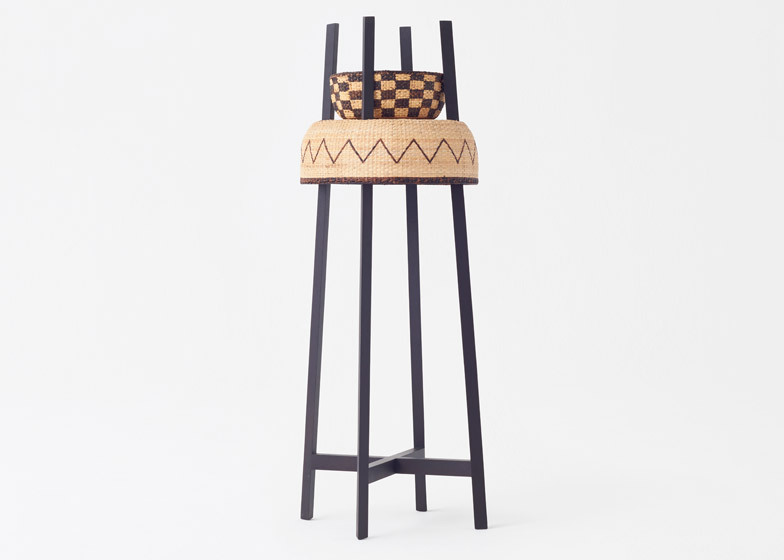 The bamboo sections are patterned with light- and dark-brown markings, woven by artisans in the Philippines. 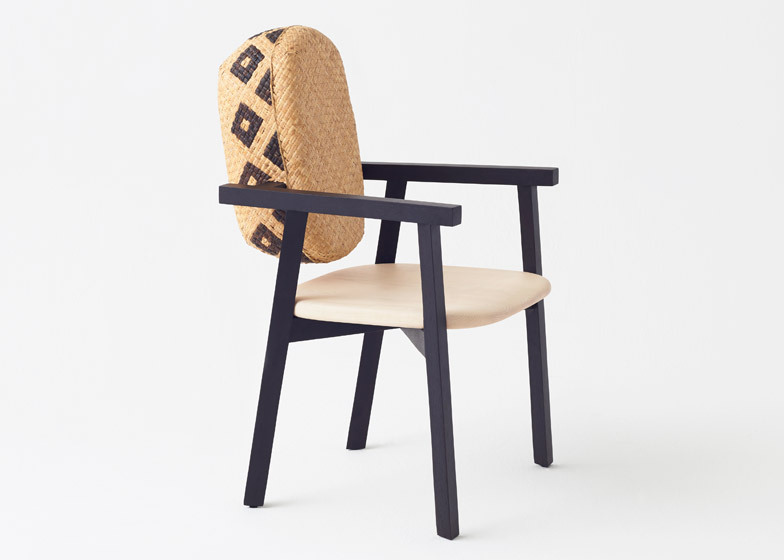 Each of the woven parts has a slightly varied shape and pattern, and is incorporated into its furniture piece in a different way. 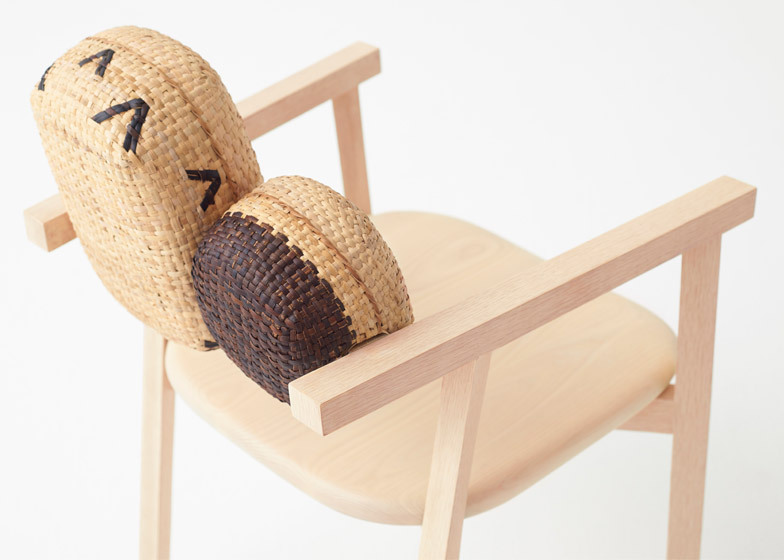 Most unusually, they have been used as drum-shaped backrests for the wooden armchairs. 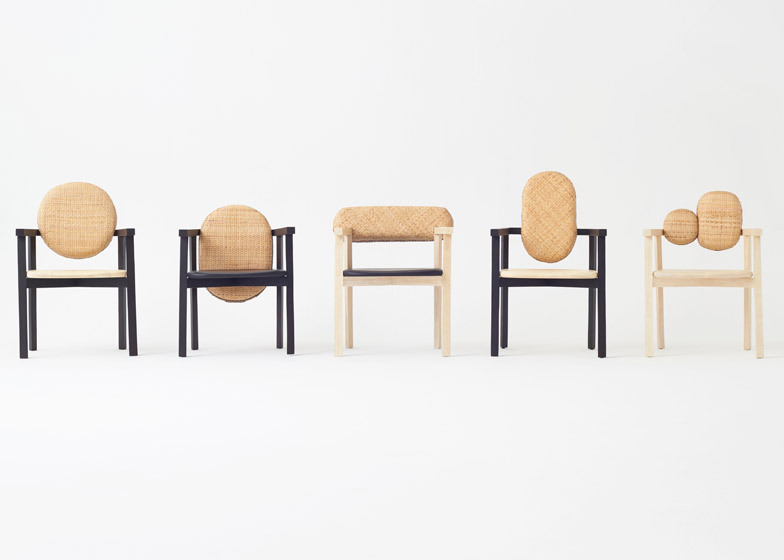 "The bamboo's elastic properties make it ideal for such things as back support," said Nendo. 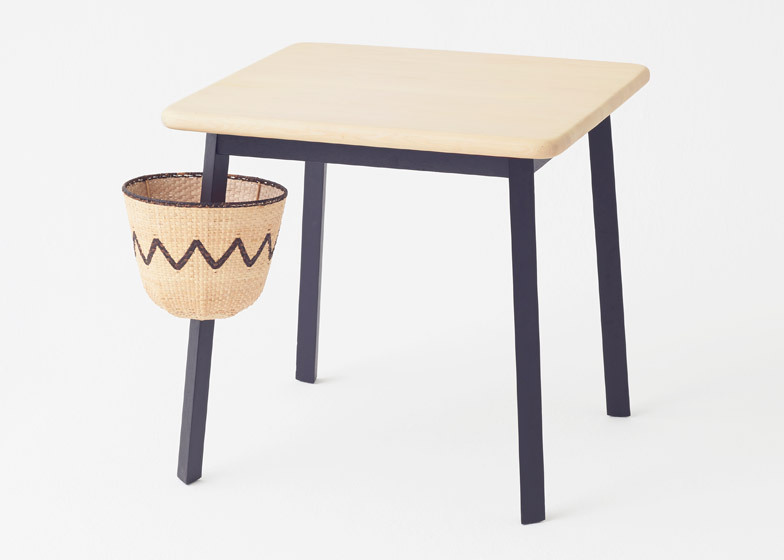 "It is also used as a design feature, for instance: the table legs going right through a layer of bamboo, or the entire table itself actually encased in bamboo rattan." 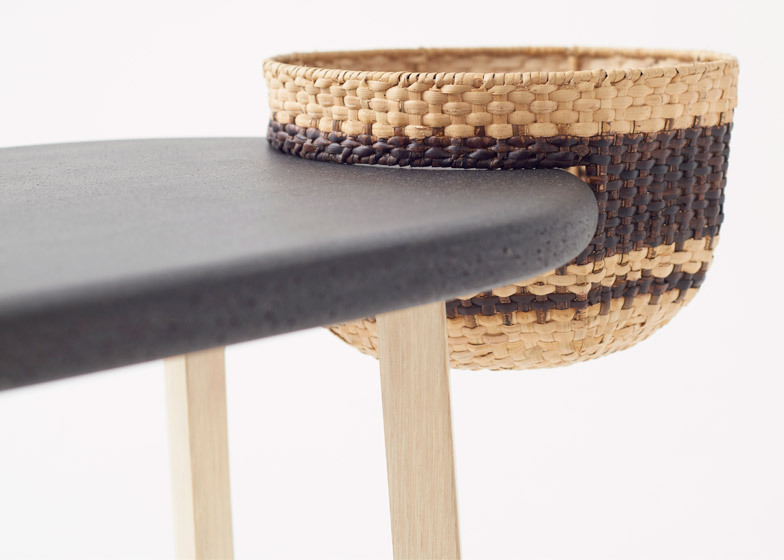 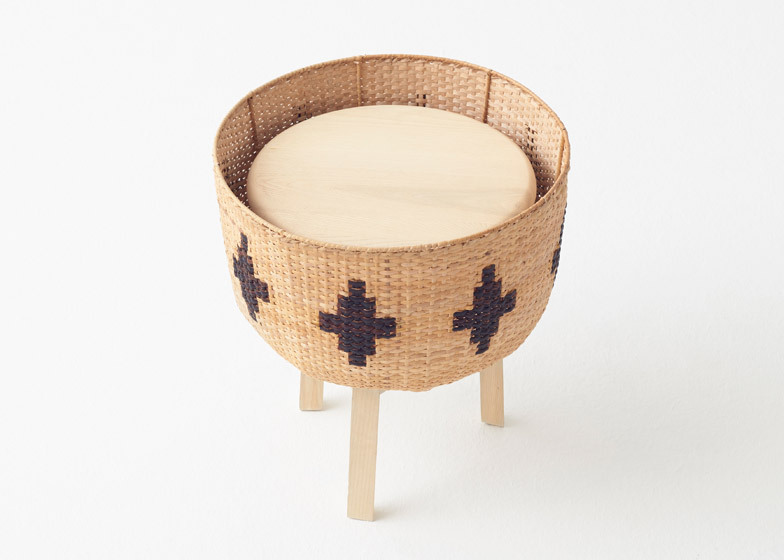 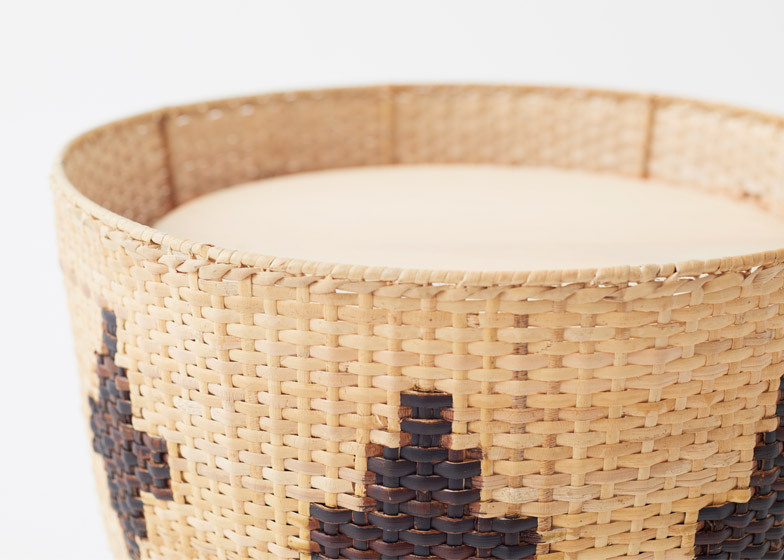 Some baskets are turned upside down to cover the legs of stools and to form shelves within storage units. 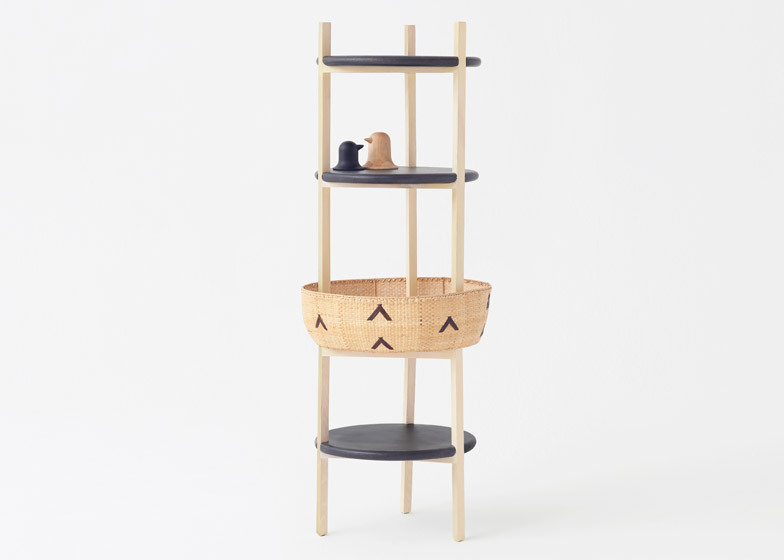 A coat rack comes with a woven container for storing small items located between its four prongs, sat on top of a larger upturned bamboo element that surrounds the supports. 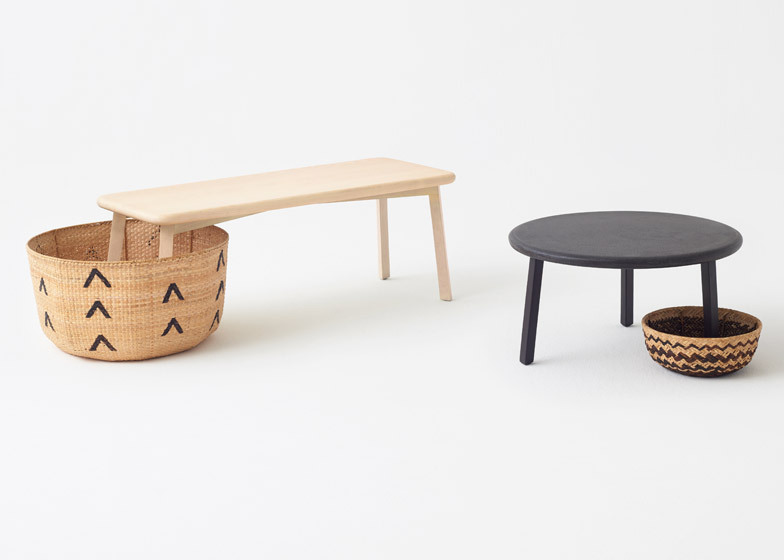 "In allowing for these various products and materials to converge and function together, the conceptual aim is to create a sense of a small and tightly-knit 'tribe', greater and better than the sum of its parts," said Nendo. 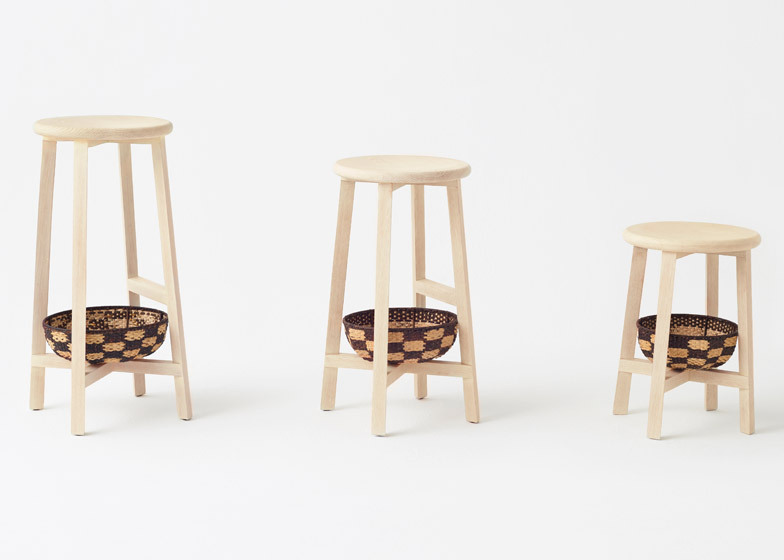 The small stools and tables come in various sizes and heights, with a mixture of natural and plaster finishes. 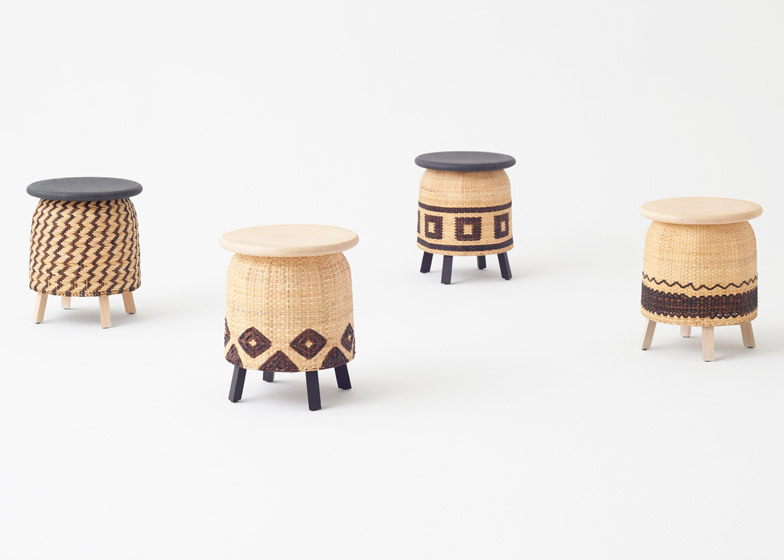 The collection was created to coincide with the Maison&Objet Asia trade fair in Singapore, which kicks off today and runs until 13 March. 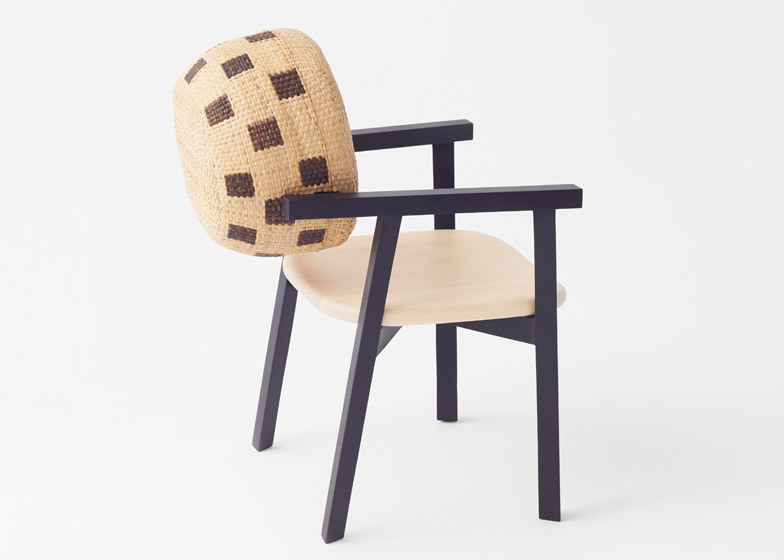 Nendo's prolific range of products launched over the past year include an umbrella with a two-pronged handle that allows it to stand on its own and pendant lamp shades moulded from paper. 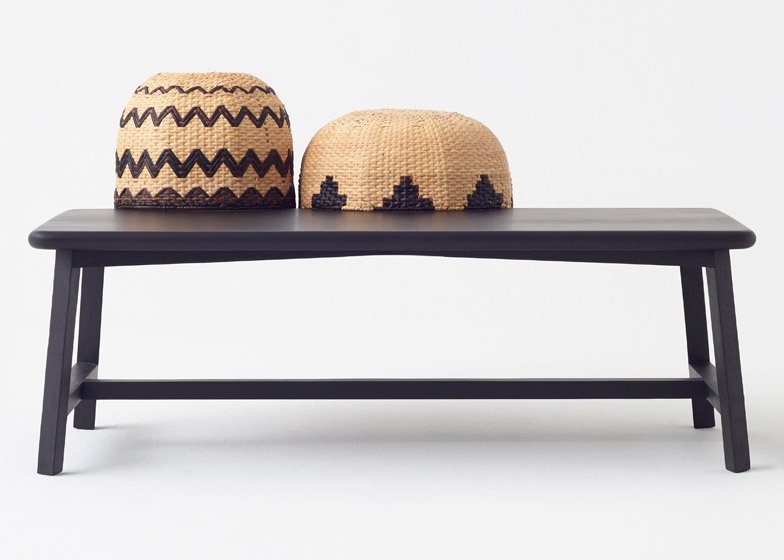 Studio founder Oki Sato was also named Designer of the Year at the Paris edition of Maison&Objet in January, where he created a lounge area based on chocolate.